Today’s Wichita Eagle carries an op-ed designed to gather support for funding an expanded Wichita regional transit system. The article is Chase M. Billingham: State should support transit. Before deciding to expand Wichita’s transit system, and especially before deciding on a new taxing scheme to fund it, we need to make sure we understand more about transit. 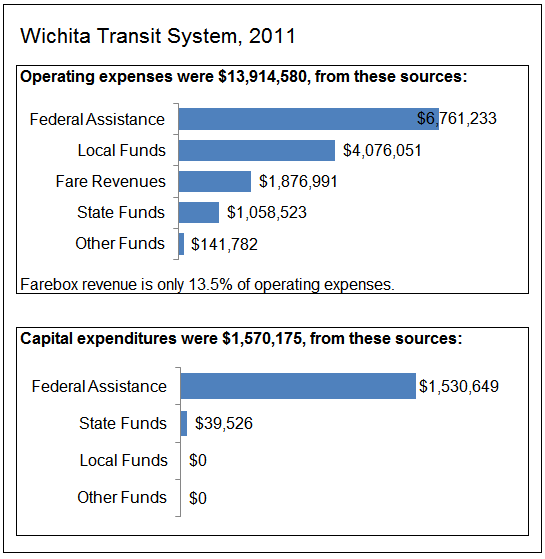 Here’s a claim from the op-ed that is incorrect: “Already, local revenue sources and fares account for about half of Wichita Transit’s operating budget.” That doesn’t align with figures I’ve found. In July I reported on the transit system’s finances, and found that of $13,914,580 in annual operating expenses, $5,953,042 was categorized as from fares and local source. That’s 43 percent, not really close to half. Considering fares and local support as a fraction of total spending including capital, it’s 38 percent. This data is from the National Transit Database for 2011, and is summarized in a chart at the end of this article. The Wichita city budget documents tell largely the same story. By the way, many people would be surprised to learn of the fraction of expenses paid for through fares. Considering operating expenses only, the number is 13.5 percent. Considering operating and capital costs, just 12.1 percent comes from fare revenue. The remainder is provided by taxpayers. So when a bus rider puts a dollar in the farebox, taxpayers contribute an additional six dollars to fund the system. Speaking of taxpayers, Billingham writes: “In recent years, generous federal funding has made up much of the rest of the budget …” It ought to be a crime to use the word generous to describe federal spending and taxation. “Generous” has to do with giving. That’s a voluntary act. The federal government has nothing to give except what it takes from others, and that is not generosity. 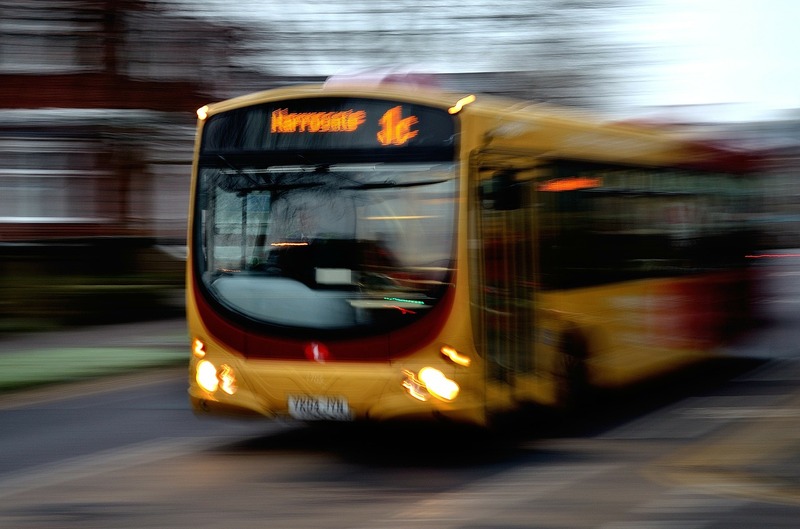 Why should we spend on an expanded transit system in Wichita and the region? Billingham writes: “Research has shown that robust public transit service can spur economic growth and downtown redevelopment, reduce traffic congestion, and expand residents’ access to jobs and resources.” Well, what research? There is no citation. Now, I know that newspapers don’t like to include footnotes or citations in articles. That’s too bad, as we’re left to guess from where the author drew his facts and conclusions. Transit is an expensive way to move people. Riders spend a lot of time waiting for buses. That doesn’t sound like a recipe for economic growth. Considering downtown development: If it’s true that transit increases downtown development, that’s bad for taxpayers, as very little is done downtown without some type of taxpayer handout. People spending their own money, not someone else’s, usually choose somewhere other than downtown. In the rankings of factors that are important to obtaining employment, a car was more useful than a high-school-equivalent diploma. We should be working to increase automobile ownership, especially among lower-income people. The more we tax people to provide transit, the more difficult it is for them to buy and maintain private cars. 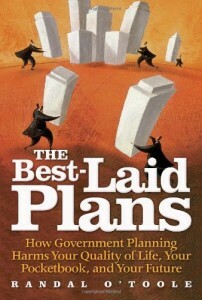 The goal of the planners, of course, is for people to conform to their designs, not their own. Transit is one of the ways that planners create their dream world for us to live in. The sustainable communities planning process we’re undertaking has, as a goal, reducing the amount we drive. REAP, one of our several planning agencies, has much information about the process on its website devoted to the process, located at Sustainable Communities Grant 2011. I would especially encourage reading the document “Sustainable Communities Work Plan DRAFT.” In there you can learn of the plans to “decrease per capita Vehicle Miles Traveled (VMT).” This plan, if it succeeds, will harm citizens’ mobility and economic opportunities, especially for the people who need jobs most. The sustainable communities planning process is definitely anti-automobile. One of the goals for the plan is: “Regional Transportation Plan: Develop multi-modal transportation options/programs for the region and connects housing options to emerging employment clusters.” This sounds like a good and noble idea. But in practice, government transit systems fail to produce what riders truly want and need, and are very expensive. In the interest of being honest Billingham did say local revenue sources and fares,so it’s about 42%. Still less than federal funding though. That’s correct, thank you for bringing that to my attention. I’ll make an update.